We here at the Weber Shandwick Seattle office are proud to be working with the Boao Forum for Asia (BFA) as they convene in North America for the first time this week. 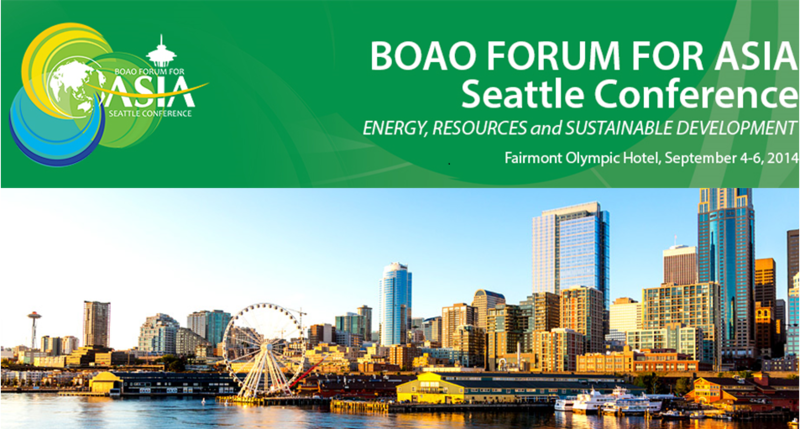 The BFA Seattle Conference is an interactive and engaging platform for public-private dialogue focusing on trends in energy, innovation, education, investment, infrastructure, health and sustainable development. As the closest major U.S. mainland city to Asia, Seattle is the focal point of this cooperation: at least 40 percent of jobs in the region are tied to international trade. Renowned as one of the top places in the world for entrepreneurs, Seattle is home to a long list of innovative, world-class homegrown technology, healthcare and e-commerce companies—making it an ideal location for discussions around urbanization, health and environmental issues. In addition to social issues the BFA Seattle Conference will also examine strategies for multinational expansion into global markets, a particularly relevant theme for both local companies and Asia-Pacific economic relations. Much like the World Economic Forum in Davos, the Boao Forum for Asia will give delegates from around the world the opportunity to share perspectives and develop far-reaching solutions and will include local luminaries Bill Gates, co-chair of the Bill & Melinda Gates Foundation and former chairman of Microsoft Corporation; U.S. Senator Maria Cantwell; and current Washington State Governor Jay Inslee. In addition to social issues, the forum will include discussion on Asia-Pacific economic relations, something that the Weber Shandwick family is very familiar with. The Emergent China Practice advises China-based multinationals and their CEOs on strategic expansion into global markets, including North America. This team offers expertise across industries including technology, energy, life sciences, clean-tech and financial services. Overseas investment and trade will only grow in importance in our region and we are very excited to be a part of it. Check back for updates on the important discussions that take place at this conference. Erica Jordan earned a degree in biology and worked in the pharmaceutical industry before getting addicted to travel and storytelling. She is currently exploring communications and engagement as a Social Impact intern at Weber Shandwick Seattle. You can read about her adventures on Kizzling Around Travel Blog or connect with her on twitter @KizzlingAround. Tagged BFA Seattle Conference, Boao Forum for Asia, Emergent China, Seattle event, social impact.